Could comets have brought water to Earth? Comets preserve important clues to the early history of the solar system. They are believed to have contributed some of the volatiles that make up our oceans and atmosphere. They may even have brought to Earth the complex molecules from which life arose. For these reasons, the Committee on Planetary and Lunar Exploration (COMPLEX) has emphasized the direct exploration of comets by spacecraft. The investigation of comets also addresses each of the three strategic objectives for solar system exploration enunciated in NASA’s Space Science Enterprise Strategy (SSES) 2003. – To learn how the solar system originated and evolved to its current state. – To understand how life begins and determine the characteristics of the solar system that led to the origin of life. – To catalog and understand the potential impact hazard to Earth from space. The Stardust-NExT mission will contribute significantly to the first and last of these objectives by obtaining essential new data on Tempel 1 and capitalize on the discoveries of earlier missions such as Deep Impact to determine how cometary nuclei were constructed at the birth of the solar system and increase our understanding of how they have evolved since then. The Stardust-NExT mission provides NASA with the unique opportunity to study two entirely different comets with the same instrument. By doing this scientist will be able to more accurately compare its existing data set. To extend our understanding of the processes that affect the surfaces of comet nuclei by documenting the changes that have occurred on comet Tempel 1 between two successive perihelion passages. To extend the geologic mapping of the nucleus of Tempel 1 to elucidate the extent and nature of layering and help models of the formation and structure of comet nuclei. To extend the study of smooth flow deposits, active areas, and known exposure of water ice. On February 14, 2011, at a projected distance of 200 km, the Stardust-NExT spacecraft will obtain high-resolution images of the coma and nucleus, as well as measurements of the composition, size distribution and flux of dust emitted into the coma. Additionally, Stardust-NExT will update the data gathered in 2005 by the Deep Impact mission on the rotational phase of the comet. If possible, to characterize the crater produced by Deep Impact in July 2005 to better understand the structure and mechanical properties of cometary nuclei and elucidate crater formation processes on them. Measure the flux and mass distribution of dust particles within the coma using the DFMI instrument. Analyze the composition of dust particles within the coma using the CIDA instrument. Monitor comet activity over 60 days on approach using imaging. Artist concept of NASA's Stardust-NExT mission, which will fly by comet Tempel 1 on Feb. 14, 2011. NASA’s Stardust spacecraft was launched on Feb. 7, 1999, on a mission that would explore a comet as no previous mission had. Before Stardust, seven spacecraft from NASA, Russia, Japan and the European Space Agency had visited comets – they had flight profiles that allowed them to perform brief encounters, collecting data and sometimes images of the nuclei during the flyby. In the first round of its prime mission, Stardust performed observations of asteroid Annefrank, only the sixth asteroid in history to be imaged close up. After that, Stardust racked up more points of space exploration firsts. It became the first spacecraft to capture particles of interstellar dust for Earth return. It was first to fly past a comet and collect data and particles of comet dust (hurtling past it at almost four miles per second) for later analysis. Then, it was first to make the trip back to Earth after traveling beyond the orbit of Mars (a two-year trip of 1.2 billion kilometers, or 752 million miles). When Stardust dropped off its sample return capsule from comet Wild 2, the capsule became the fastest human-made object to enter Earth’s atmosphere. The mission was also the first to provide a capsule containing cometary dust specimens, speciments that will have scientists uncovering secrets of comets for years to come. With such a high tally of “firsts” on its scoreboard, you’d think Stardust could receive a few parting gifts and leave the game. And an important part of the original spacecraft is currently enjoying retirement – albeit a high-profile one: Stardust’s 100-pound sample return capsule is on display in the main hall (Milestones of Flight) of the Smithsonian’s National Air and Space Museum in Washington. But the rest of NASA’s most-seasoned comet hunter is still up there – and there is work still to be done. “We placed Stardust in a parking orbit that would carry it back by Earth in a couple of years, and then asked the science community for proposals on what could be done with a spacecraft that had a lot of zeros on its odometer, but also had some fuel and good miles left in it,” said Jim Green, director of NASA’s Planetary Science Division. In January 2007, from a stack of proposals with intriguing ideas, NASA chose Stardust-NExT (Stardust’s Next Exploration of Tempel). It was a plan to revisit comet Tempel 1 at a tenth of the cost of a new, from-the-ground-up mission. Comet Tempel 1 was of particular interest to NASA. It had been the target of a previous NASA spacecraft visit in July 2005. That mission, Deep Impact, placed a copper-infused, 800-pound impactor on a collision course with the comet and observed the results from the cosmic fender-bender via the telescopic cameras onboard the larger part of Deep Impact, a “flyby” spacecraft observing from a safe distance. That period of time is significant for Tempel 1 — it is the period of time it takes the comet to orbit the sun once. Not much happens during a comet’s transit through the chilly reaches of the outer solar system. But when it nears perihelion (the point in its orbit that an object, such as a planet or a comet, is closest to the sun), things begin to sizzle. So the spacecraft that had traveled farther afield than any of its predecessors was being sent out again in the name of scientific opportunity. In between spacecraft and comet lay four-and-a-half years, over a billion kilometers (646 million miles), and more than a few hurdles along the way. Just how much fuel is in Stardust’s tanks for its final act? One of the ways mission planners can approximate fuel usage is to look at the history of the vehicle’s flight and how many times and for how long its rocket motors have fired. When that was done for Stardust, the team found their spacecraft’s attitude and translational thrusters had fired almost half-a-million times each over the past 12 years. “There is always a little plus and minus with each burn. When you add them all up, that is how you get the range of possible answers on how much fuel was used,” said Larson. Fuel is not the only question that needs to be addressed on the way to a second comet encounter. Added into the mix is the fact a comet near the sun can fire off jets of gas and dust that can cause a change in its orbit, sometimes in unexpected ways, potentially causing a precisely designed cometary approach to become less precise. Then there are the distances involved. Stardust will fly past comet Tempel 1 on almost the opposite side of the sun from Earth, making deep-space communication truly, well, deep space. Add into the mix the Stardust spacecraft itself. Launched when Bill Clinton was in the White House, Stardust has been cooked and frozen countless times during its trips from the inner to outer solar system. It has also weathered its fair share of radiation-packed solar storms. But while its fuel tank may be running near-empty, that doesn’t mean Stardust doesn’t have anything left in the tank. Larson, Veverka and the world will get their chance beginning a few hours after the encounter on Monday, Feb. 14, at about 8:56 p.m. PST (11:56 p.m. EST), when the first of 72 bonus-round images of the nucleus of comet Tempel 1 are downlinked. All images of the comet will be taken by the spacecraft’s navigation camera – an amalgam of spare flight-ready hardware left over from previous NASA missions: Voyager (launched in 1977), Galileo (launched in 1989), and Cassini (launched in 1997). Each image will take about 15 minutes to transmit. The first five images to be received and processed on the ground are expected to include a close up of Tempel 1’s nucleus. All data from the flyby (including the images and science data obtained by the spacecraft’s two onboard dust experiments) are expected to take about 10 hours to reach the ground. Stardust-NExT is a low-cost mission that will expand the investigation of comet Tempel 1 initiated by NASA’s Deep Impact spacecraft. JPL, a division of the California Institute of Technology in Pasadena, manages Stardust-NExT for the NASA Science Mission Directorate, Washington, D.C. Joe Veverka of Cornell University, Ithaca, N.Y., is the mission’s principal investigator. Lockheed Martin Space Systems, Denver Colo., built the spacecraft and manages day-to-day mission operations. 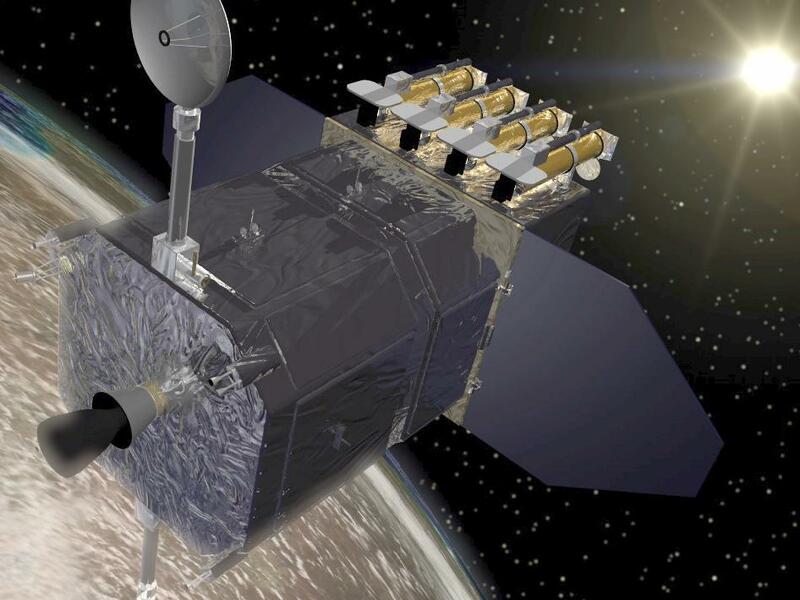 The Stardust-NExT will utilize the existing spacecraft to flyby comet Tempel 1 and observe changes since NASA’s Deep Impact mission visited it in 2005. Stardust-NExT will provide NASA with a first-time opportunity to compare observations of a single comet made at close range during two successive perihelion passages, at low risk and low cost. In 2005, Tempel 1 made its closest approach to the sun, possibly changing the surface of the comet. With a 3-year trajectory, the mission flight plan is designed in a similar way to that of the original mission, with an Earth gravity assist (EGA) in 2009 to achieve the flyby of Tempel 1 in 2011. The original flight path of the Stardust spacecraft to Wild 2 included an EGA in 2001. The Stardust spacecraft divert maneuver that followed the release of the sample return capsule (SRC) was intentionally designed to place the spacecraft in a trajectory that returns to Earth in case the SRC release that occurred January 15 had failed. Thus the current orbit intrinsically provides the Earth gravity-assist (EGA) flyby opportunity in 2009, which enables the Tempel 1 encounter. The mission duration, from the divert maneuver after SRC release (January 15, 2006) to the February 14, 2011 Tempel 1 encounter, is a little over 5 years. The date of encounter will be optimized during the mission to account for improved knowledge of the comet’s ephemeris during cruise, and to maximize the probability of viewing the Deep Impact impact crater. Table F-1 summarizes the principal characteristics of the comet encounter. The trajectory consists of four loops of the sun in two separate orbits. Loops 1 and 2 represent the orbit the spacecraft bus was left in after the sample return on January 15, 2006. The EGA on January 14, 2009 places the spacecraft in the final heliocentric orbit (Loops 3 and 4) intercepting Tempel 1 on February 14, 2011 (39d after the comet’s perihelion). This profile is very similar to the launch-to-Wild 2 phase of the Stardust primary mission. Figure F-1. Stardust-NExT trajectory, with one EGA prior to Tempel 1 encounter, provides for an uncomplicated mission simpler than the Stardust prime mission. The maneuver plan is shown in Table F-2. Of the three deep space maneuvers (DSM’s), only the first is deterministic. This maneuver targets the EGA in January, 2009. Other DSM’s adjust the arrival time at Tempel 1. Ranges of favorable locations for DSMs (2 and 3) are indicated. Their exact location will be optimized during the mission. The Stardust navigation team has chosen to place the closest approach point 40° southward of the direction to the Sun, at a longitude that offers the most favorable viewing opportunity of the Deep Impact crater at closest approach. Periodically, reevaluate the aimpoint during the mission, taking into account the most recent information available about the predicted uncertainty of the comet’s rotation state at encounter, until the time shortly before DSM2 (deep space maneuver) at which a selection of a final aimpoint for targeting. Controlling the arrival time to target our chosen aimpoint is the greatest mission design challenge of Stardust-NExT. In order to successfully control the arrival time as discussed above, two conditions must be met: (1) we must be able to predict the rotation rate and rotational state of the comet with sufficient accuracy to reliably compute the right arrival time, and (2) we must have sufficient DV onboard to change the arrival time as needed. 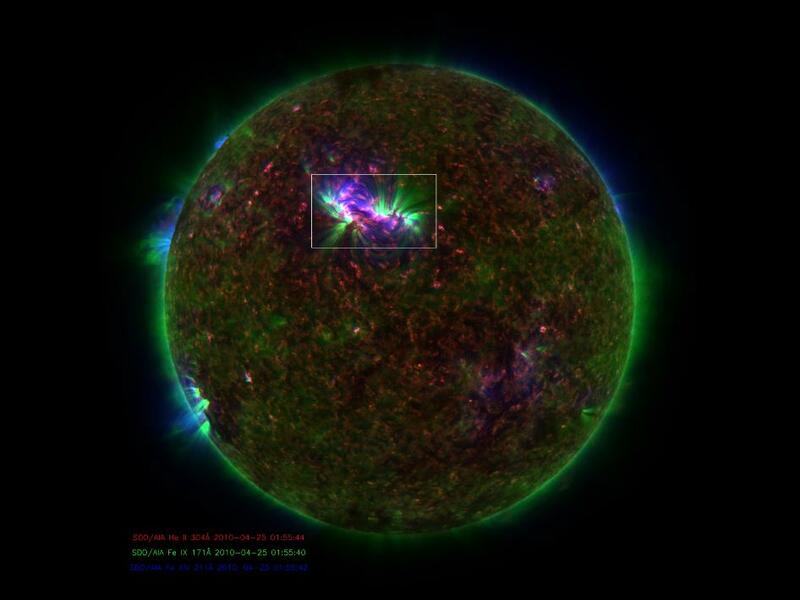 Among the many constantly moving, appearing, disappearing and generally explosive events in the sun’s atmosphere, there exist giant plumes of gas — as wide as a state and as long as Earth — that zoom up from the sun’s surface at 150,000 miles per hour. Known as spicules, these are one of several phenomena known to transfer energy and heat throughout the sun’s magnetic atmosphere, or corona. The traditional view is that all heating happens higher up in the corona. The suggestion in this paper is that cool gas is ejected from the sun’s surface in spicules and gets heated on its way to the corona. This doesn’t mean the old view has been completely overturned, but this is a strong suggestion that part of the spicule material gets heated to very high temperatures and provides some coronal heating. Spicules were first named in the 1940s, but were hard to study in detail until recently, says Bart De Pontieu of Lockheed Martin’s Solar and Astrophysics Laboratory, Palo Alto, Calif. whose work on this subject appears in the January 7, 2011 issue of Science magazine. In visible light, spicules can be seen to send large masses of so-called plasma – the electromagnetic gas that surrounds the sun — up through the lower solar atmosphere or photosphere. The amount of material sent up is stunning, some 100 times as much as streams away from the sun in the solar wind towards the edges of the solar system. But nobody knew if they contained hot gas. Now, De Pontieu’s team — which included researchers at Lockheed Martin, the High Altitude Observatory of the National Center for Atmospheric Research (NCAR) in Colorado and the University of Oslo, Norway — was able to combine images from SDO and Hinode to produce a more complete picture of the gas inside these gigantic fountains. Tracking the movement and temperature of spicules relies on successfully identifying the same phenomenon in all the images. One complication comes from the fact that different instruments “see” gas at different temperatures. Pictures from Hinode in the visible light range, for example, show only cool gas, while pictures that record UV light show gas that is up to several million degrees. To show that the previously known cool gas in a spicule lies side by side to some very hot gas requires showing that the hot and cold gas in separate images are located in the same space. Each spacecraft offered specific advantages to help confirm that one was seeing the same event in multiple images. 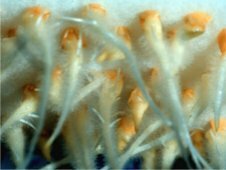 First, Hinode: In 2009, scientists used observations from Hinode and telescopes on Earth to, for the first time, identify a spicule when looking at it head-on. (Imagine how tough it is, looking from over 90 million miles away, to determine that you’re looking at a fountain when you only have a top-down view instead of a side view.) The top-down view of a spicule ensures an image with less extraneous solar material between the camera and the fountain, thus increasing confidence that any observations of hotter gas are indeed part of the spicule itself. Bringing these tools together, scientists could compare simultaneous images in SDO and Hinode to create a much more complete image of spicules. They found that much of the gas is heated to a hundred thousand degrees, while a small fraction of the gas is heated to millions of degrees. Time-lapsed images show that this hot material spews high up into the corona, with much of it falling back down towards the surface of the sun. However, the small fraction of the gas that is heated to millions of degrees does not immediately return to the surface.”Given the large number of spicules on the Sun, and the amount of material in the spicules, if even some of that super hot plasma stays aloft it would make a fair contribution to coronal heating,” says Scott McIntosh from NCAR, who is part of the research team. Hinode is the second mission in NASA’s Solar Terrestrial Probes program, the goal of which is to improve understanding of fundamental solar and space physics processes. The mission is led by the Japan Aerospace Exploration Agency (JAXA) and the National Astronomical Observatory of Japan (NAOJ). The collaborative mission includes the U.S., the United Kingdom, Norway and Europe. NASA Marshall manages Hinode U.S. science operations and oversaw development of the scientific instrumentation provided for the mission by NASA, academia and industry. The Lockheed Martin Advanced Technology Center is the lead U.S. investigator for the Solar Optical Telescope on Hinode. Welcome to the carnival of space #179. If you have no idea what a carnival of space is, you can hit this page at Universe Today. 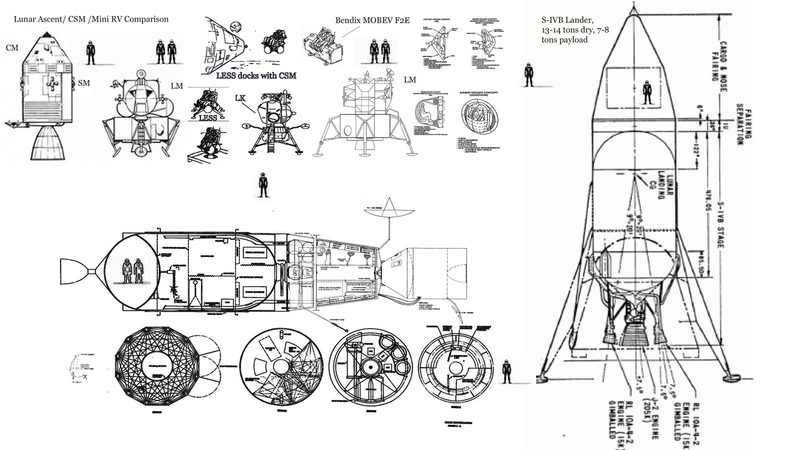 Imagine however a lunar base derived from S-IVB lander stages, as mentioned above. Each station would be the colonizable equivalent of Skylab on the ground– coverable with lunar regolith for radiation protection. With two men landing in the S-IVB, a very minimal 2 man personal reentry vehicle, imagine a version of the MOOSE (upper right) and a small two stage booster (perhaps the equivalent of the LESS on top of the MOBEV, see top center) with one of the reentry protection concepts from upper right, about 3.5 tons of the landed 7 ton payload would be the direct up return craft and reentry vehicle, (this is only HALF the weight of the 3 man Command Module alone that actually flew!) the rest supplies for expedition and colonizing the LASS lander. Joseph Friedlander at Next Big Future site, talks about What was the best way to use the Saturn V to reach the Moon– in retrospect? An excellent discussion. Mr. Brian Wang discusses Vasimr 200 kilowatt plasma rocket achieves full power milestone. To celebrate Mars Express’ recent mission extension to 2014, here[At Planetary Blog] are some cool pictures that it took of Mars’ inner and larger moon Phobos. Steve Nerlich at Cheap Astronomy exudes a podcast on the origin of the oceans. Online Schools hosts an article about space resources and also an introduction to black holes. The AAVSO light curve of AX Persei from 1970 to November 2010. In the middle is the eruption of 1988-1992. The precursor outburst is the sudden narrow brightening left of the larger eruption. To the right of the light curve you can see the 2009 brightening event. Is this a precursor to a coming major eruption? You can find more about it on Mike Simonsen’s blog Simostronomy. Cepheids are not such eclipsing binaries, being intrinsically variable, that is their fluctuating brightness comes from some process inside them. Cepheids literally shrink as they dim and swell as they brighten. In 1908, Henrietta Swan Leavitt (1864-1921) discovered that Cepheids pulse at a rate governed by their brightness. This discovery, published in 1912, was based on painstaking measurements of 1777 stars’ characteristics recorded at Harvard College Observatory when Leavitt was employed as a ‘calculator’, a lowly paid female astronomer who performed mathematical calculations for the Observatory’s research staff. Sadly she received little credit for her work on Cepheids during her lifetime. Colin Johnston has a excellent article on Cepheids which are massive, pulsating stars, valued by astronomers for the precise link between their brightness and steady pulsation. Let’s look at the history of Cepheid variables and how recent discoveries about these stars shatter established theories of stellar evolution. The WISE mission has received a lot of press in terms of discovering nearby brown dwarfs, but it’s clear that finding low-temperature objects is a major investigation at many Earth-bound sites as well. 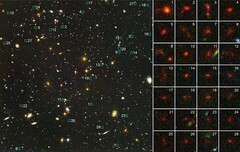 That includes the UKIRT (United Kingdom Infrared Telescope) Deep Sky Survey’s project to find the coolest objects in our galaxy, an effort that has paid off in the form of a unique binary system. One of the stars here is a cool, methane-rich T-dwarf, while the other is a white dwarf, the two low-mass stars orbiting each other though separated by a quarter of a light year. The twin objects are now known as LSPM 1459+0857 A and B, a binary that has held together despite the perturbations of the white dwarf’s history and the system’s own passage through the galactic disk. The paper notes that “This system is an example of how wide BD binary companions to white dwarfs make good benchmark objects, which will help test model atmospheres, and may provide independent means to calibrate BD properties of field objects. Paul Gilster elucidates some fascinating features of Brown Dwarfs. Visit it at Centauri Dreams. It’s a good news for space geeks. 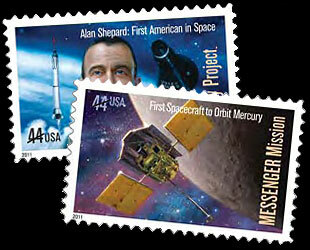 US Postal Service revealed designs for 2011 space stamps. The stamp’s design, which was quietly released last week by the U.S. Postal Service (USPS), shows Shepard from his shoulders up centered between images of his rocket lifting off and his capsule above the Earth. The pair — or “se-tenant” — of space-themed stamps was revealed in the USPS’s annual report for 2010, which was posted to the postal service’s website Nov. 15. The two stamps are displayed with other commemoratives planned for next year as a lead in to the report’s financial section. Another plan being discussed would launch Orion unmanned atop a Delta IV in 2013. If successful, this mission into high Earth orbit would clear the way for a human asteroid mission around 2015. Each day more exoplanets discovered and displayed in the news so often their findings. It is common to know the discovery of a new exoplanet, so-called Hot Jupiters, but, What is a hot Jupiter-like exoplanet? Here is English version: Hot Jupiter Type Exoplanets. Here is article on Dinosaur extinction mystery where Victor Babbitt proposes new theory regarding K-T Extinction. Extinction in itself is, throughout geologic history, the norm rather than the exception. The fact that many species perished in the aftermath of the many environmental calamities that occurred around 65 million years ago, (the Chicxulub asteroid impact and Deccan Volcanism) is hardly surprising. The real question has always been the differential survival of species. Dinosaurs were the dominant land animals for over 100 million years, the dominant herbivores, the dominant predators, ranging from chicken size to the largest land animals that ever lived, adapted to every environment, and living on every continent from pole to pole. The question of how this dominance ended is important, as it is fully possible that without this extinction, dinosaurs would still rule the earth, and mammals might still be rat sized animals rustling through the underbrush.